How can you not enjoy a wedding? It was a great occasion in August for two lovely people. Their family and friends all gathered to witness them make their vows. The venue: Gonville and Caius College, Cambridge where Laura is a fellow. The ceremony was followed by an amazing vegan reception and then dancing. It seemed everyone enjoyed themselves. 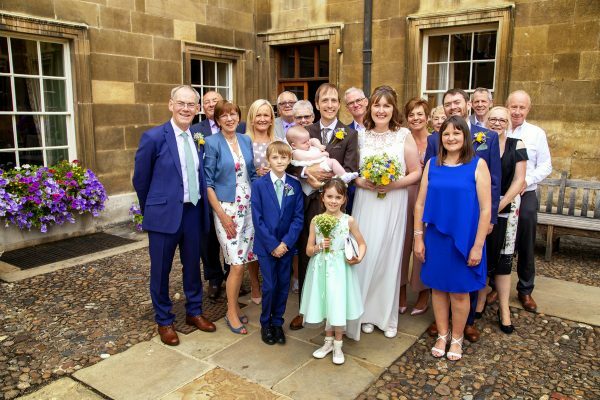 Our granddaughter Emily fulfilled a lifelong ambition to be a bridesmaid, grandson Alex was a page boy. Their dad, Wes, was best man. 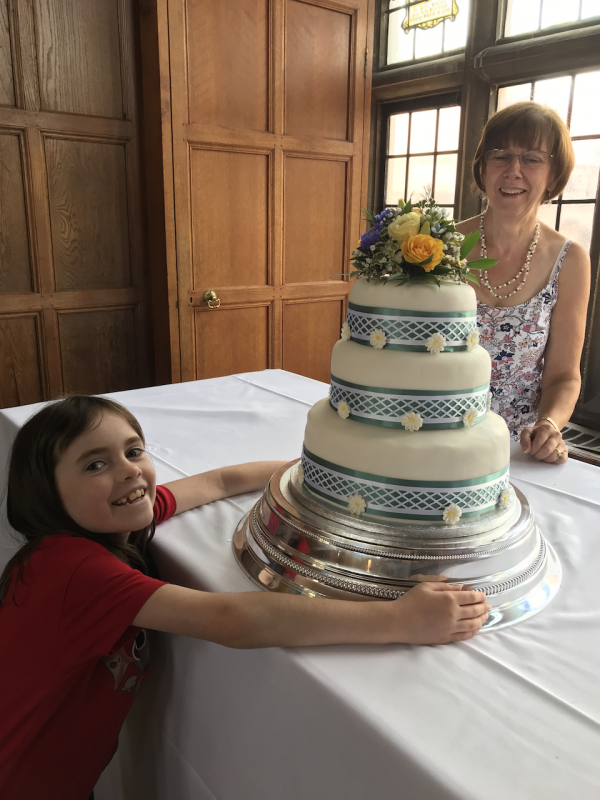 Joan baked and decorated the cake and Deborah delivered a reading in the ceremony. So everyone had a job apart from the groom’s dad who just made himself useful and at times was left holding the baby. Anna (the baby) won everyone’s hearts without even trying. There were two other family weddings this year, both in May. First my niece Robyn was married to Marcus. 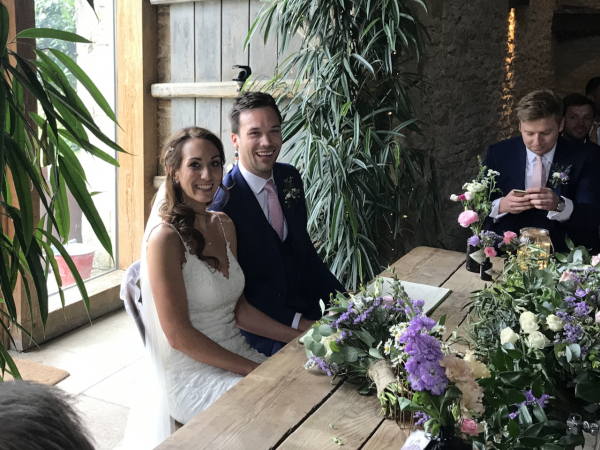 The wedding was in a glamorous barn in the Cotswolds – we had a great time. Robyn and Marcus live in in London. Robyn is Mark and Helena’s daughter. 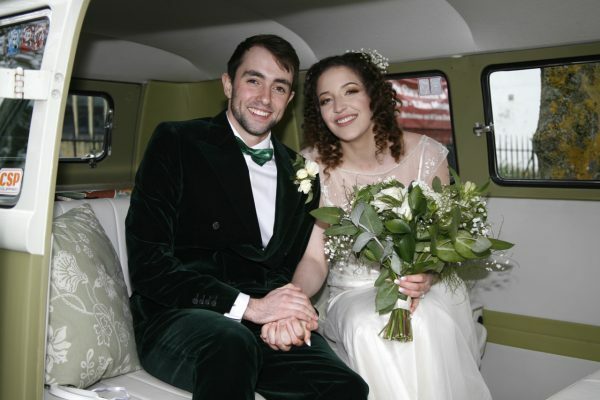 The second was for our nieces son, Jake, who married Rhiana in Royal Wootton Bassett. Jake is the grandson of Joan’s sister, Ann. At his wedding I was the official photographer while everyone else had a great time! This entry was posted in Claremont News, journal by dawnriser. Bookmark the permalink.